Ahaha, take that, sorry politicians. You are SO hating right now. Your stuff is wack. I bet you can't even gleam the cube. Check out my Body Glove shirt and Ocean Pacific jams. Catch you on the flipside of the American r ution. ME: Quiet, Lisa. The dog was barking. For more Ron Paul madness, enjoy the Vice.com rundown or the follow-up with actual scans of racist newsletters! 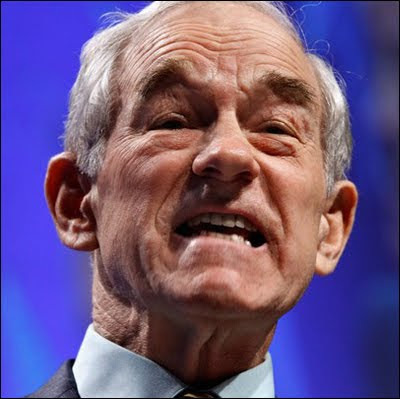 With any luck, this concludes MTV'S RON PAUL WEEK—LIVE FROM CLUB LA VELA IN PANAMA CITY BEACH, FLORIDA.